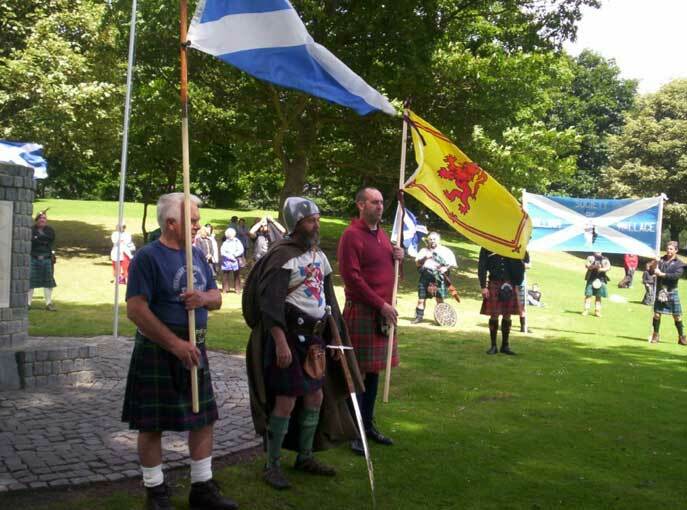 The Falkirk Commemoration 2010 took place on Saturday the 17th of July this year and was very well attended by people of all ages. 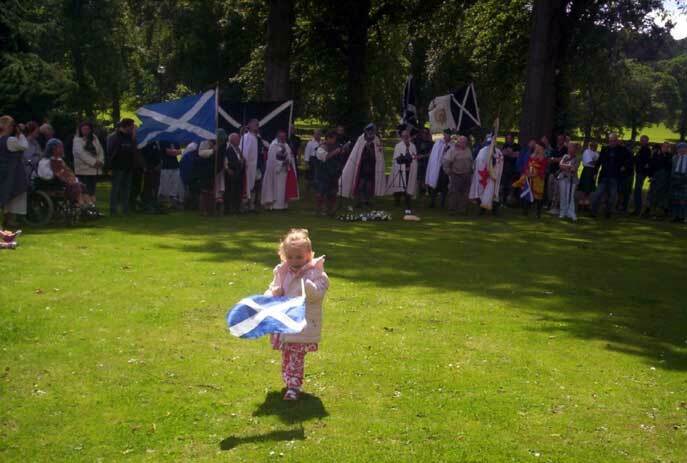 The weather stayed dry much to everyone's relief and although windy at least all the banners on display fluttered wonderfully in the Scottish sky. 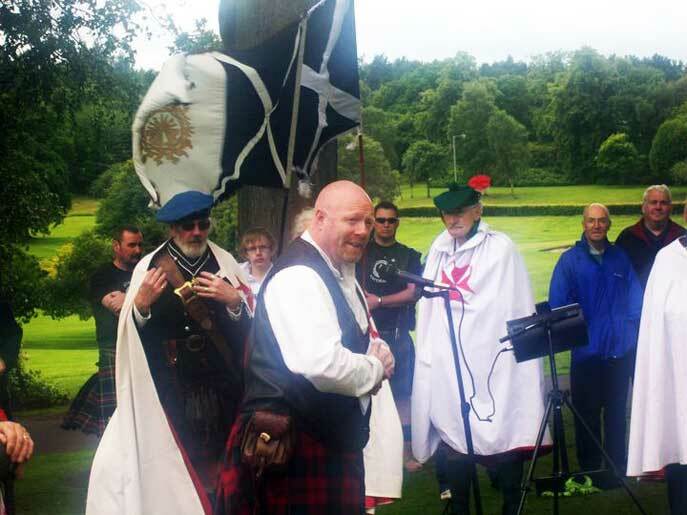 Various speakers told us of Wallace and the battle of Falkirk, wreaths were laid on behalf of various groups including ourselves. Lachlan McCann had the honour this year ably assisted by the lovely Amber. 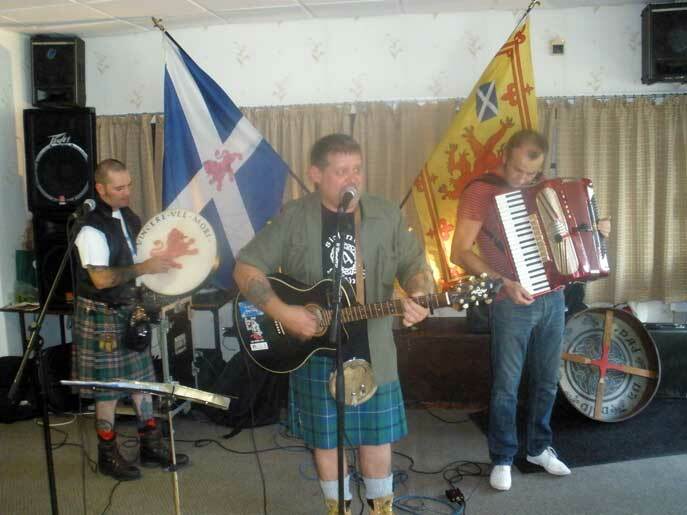 Camelon Outdoor Bowling Club was once again the place to be in Falkirk as we were entertained by the wonderful Fiery Jack and Gaelic singer Joy Dunlop who gave us a fantastic evening of Scottish music and dance. As the evening wore on and after we'd had our fill of stovies and pies we had some speakers come onstage to let everyone know why were there, Wallace was very much on the agenda as was David R Ross, everyone spoke from the heart and the assembled throng made everyone relax and enjoy the experience of speaking in public. Society member Gordon Aitken sang his new composition dedicated to David and everyone sang along. Fiery Jack came on to finish the evening in the only way they know how. 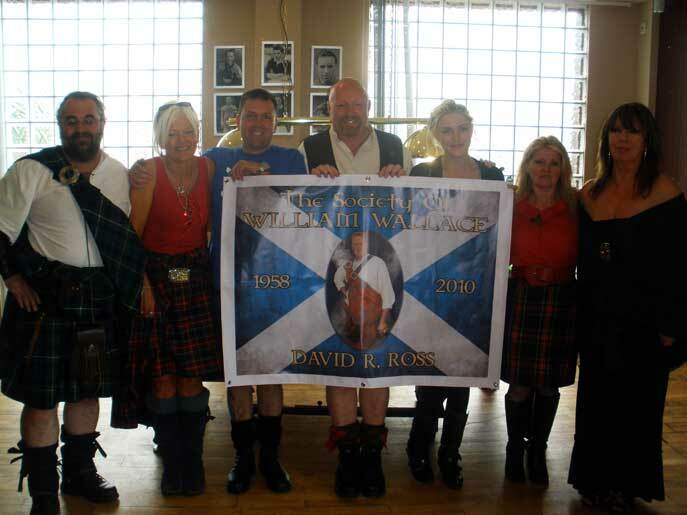 All in all a great day, big thank you to all the folk behind the scenes for making sure both William Wallace and David R Ross will never be forgotten. 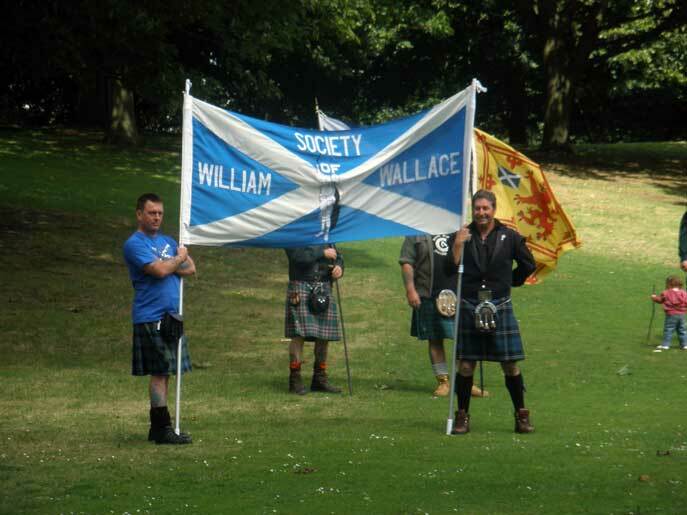 Duncan and Ziggy with the Society banner. 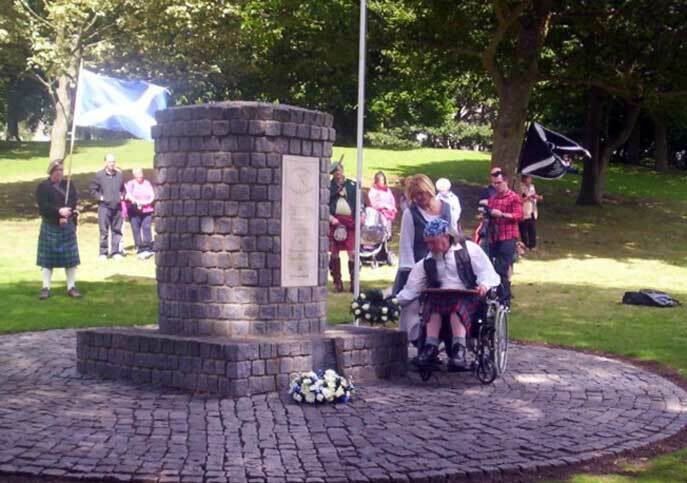 Society member Gordon Aitken with at the memorial cairn. 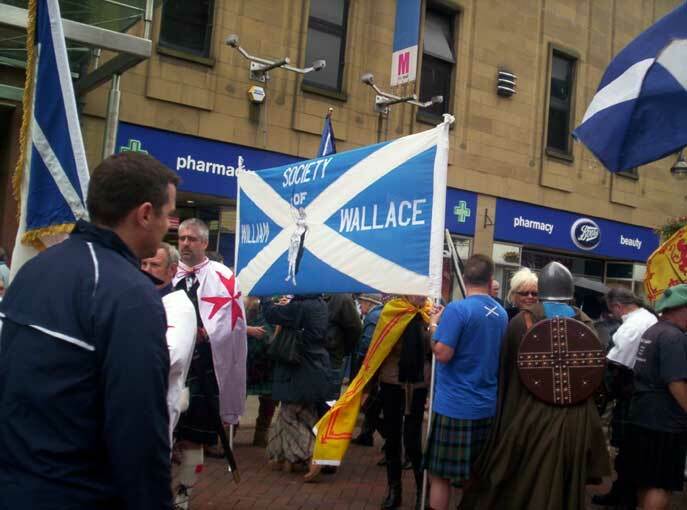 The Society banner in Falkirk town centre. 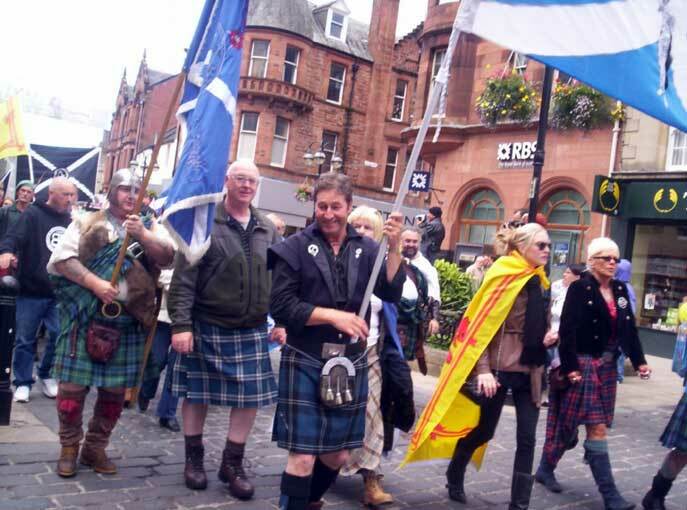 Marching proudly through Falkirk town centre. Great to see so many youngsters at the commemoration. Society member George Boyle says a few words. 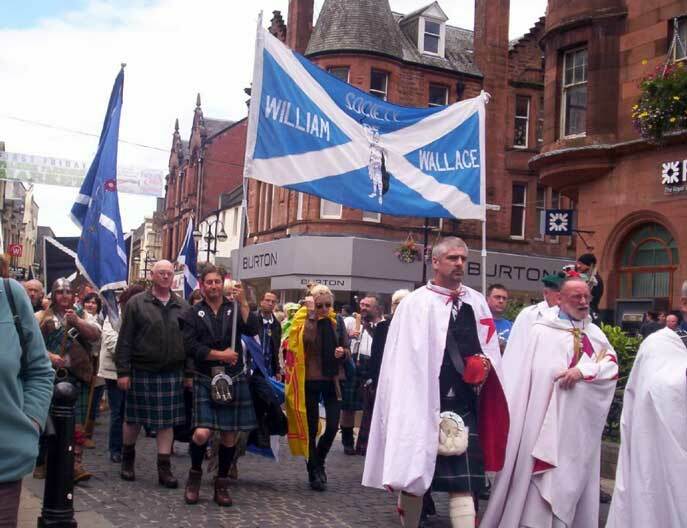 A memorial banner which was a gift from Wallace USA. 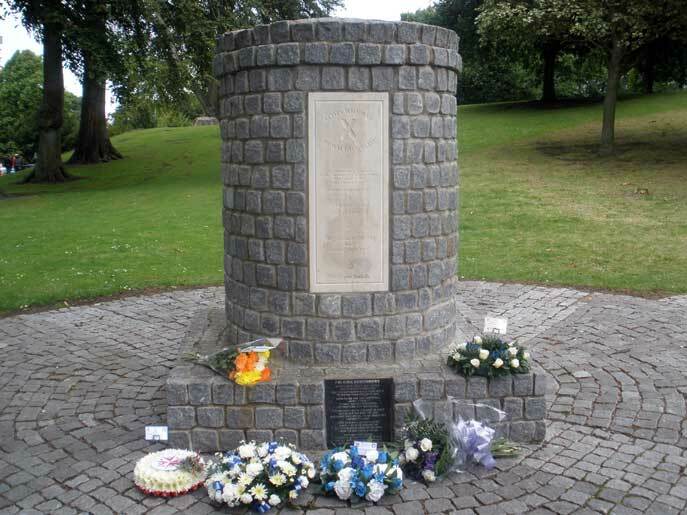 The memorial cairn and floral tributes. Fiery Jack get the evening underway. Joy Dunlop sings us some fine Gaelic music.